Hello friends! 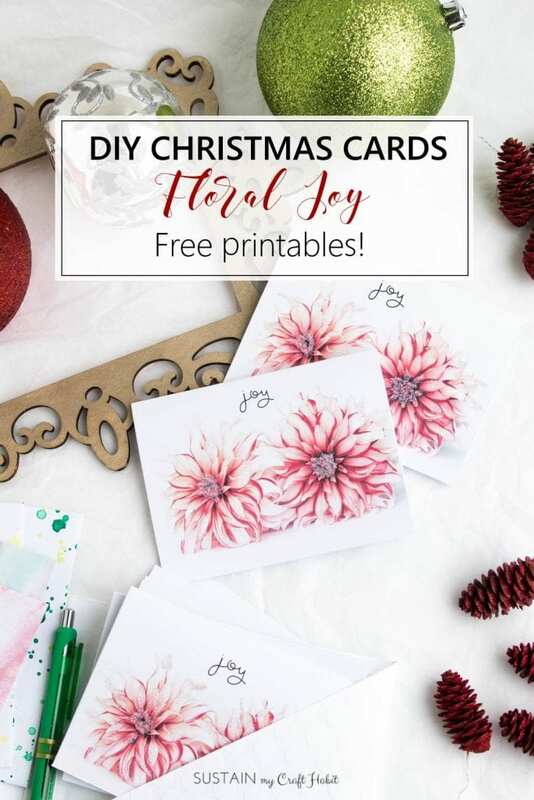 As part of our monthly floral note card series we’re so happy to offer you these free printable DIY Christmas cards this month! These joyful red and white dahlias remind us of tasty starlight peppermint candies. 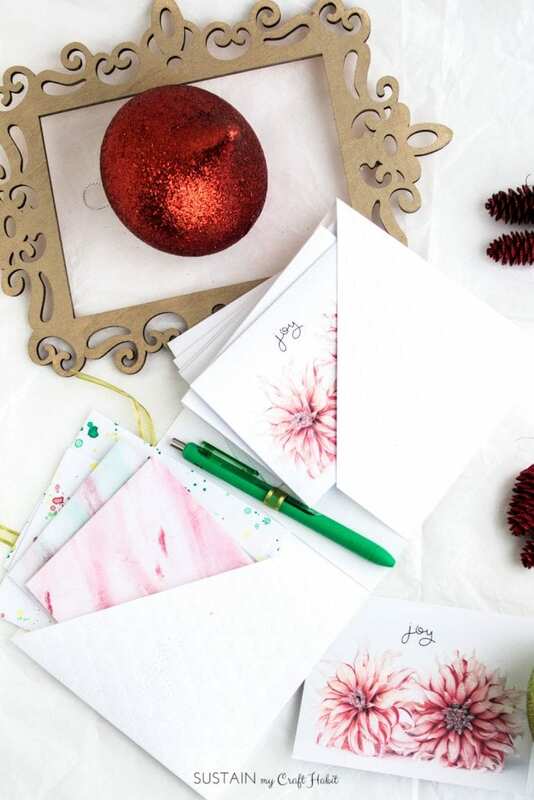 The recipients of these handmade greeting cards will surely eat them up! 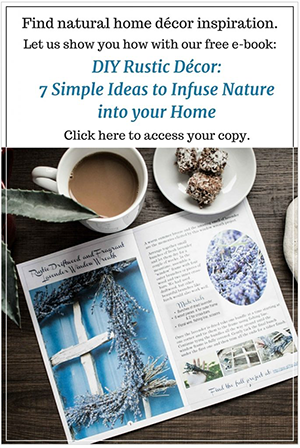 If you’re not yet on our mailing list, be sure to join to get a new note card template each month as well as our weekly updates filled with DIY inspiration, deals you’ll be happy to know about and helpful tips for decorating your home inexpensively. Note: the printable template makes two 5″x3.75″ greeting cards. 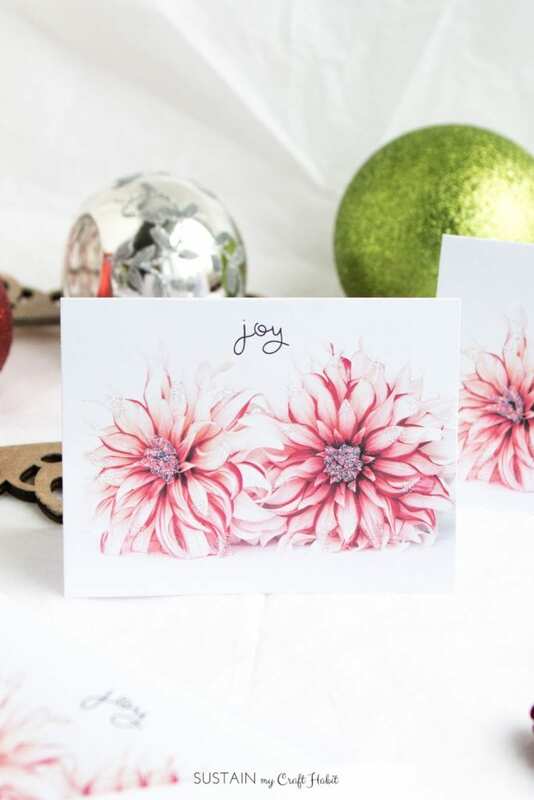 Free Red and White Dahlia JOY printable PDF template. Please note that we are happy to provide this template is for personal use only. Download and print the free greeting card template using a colour printer. Be sure to print at 100% to avoid shrinking or stretching of the template. 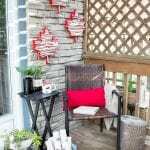 Cut out the cards using the guidelines to create two 5″x7.5″ sheets prior to folding. Carefully score and fold each greeting card to a final size of 5″x3.75″ . To make custom envelopes for your new greeting cards, grab our DIY template towards the end of this recent post. 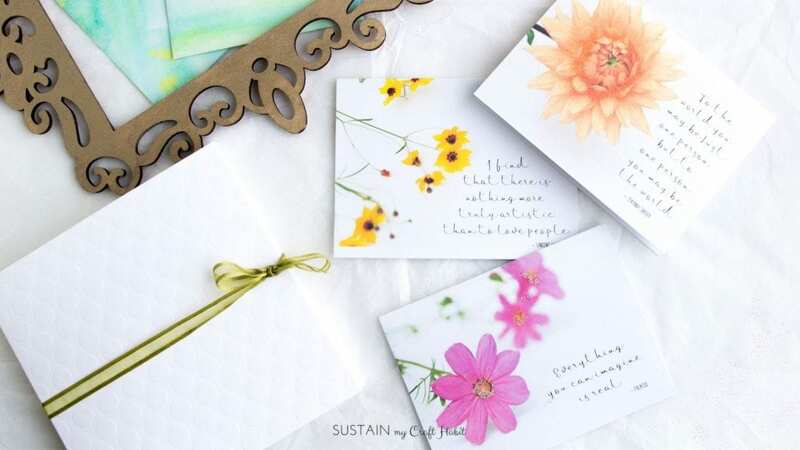 And if you’re looking for a useful and inexpensive handmade gift idea, consider packaging up a set of them with matching DIY watercolor envelopes and a simple notebook. We show you how to make all of them in our latest Skillshare class which you can access for free here. We’d love to see what you make! Be sure to tag us on Instagram @sustainmycrafthabit with the hashie #SMCHfloral . 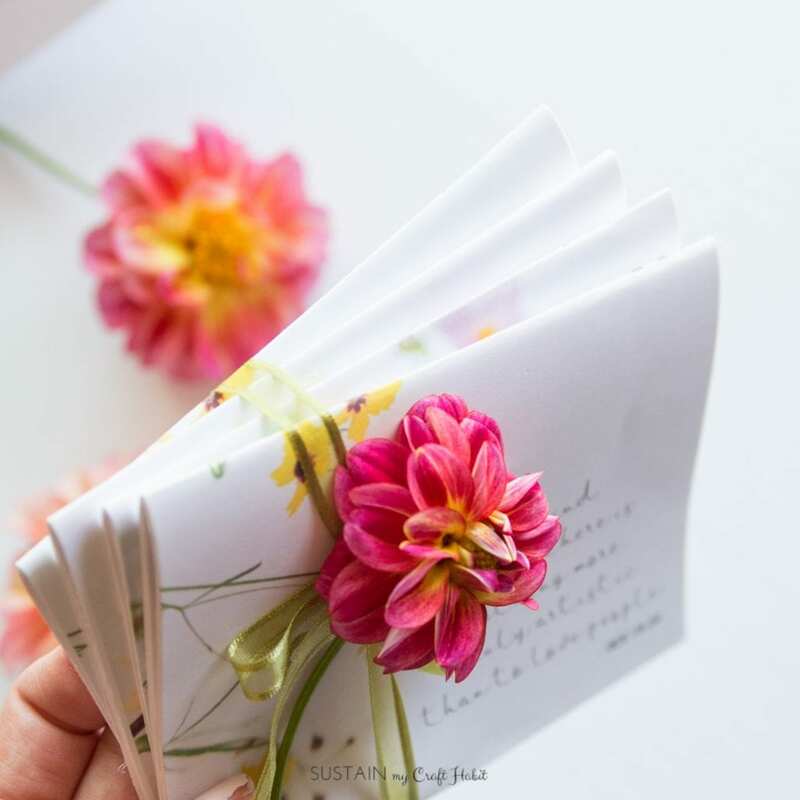 And don’t forget to join our mailing list to access past months’ and to receive new floral note card templates each month. 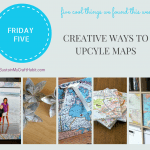 You can also see how to use these templates to make beautiful little notebooks here. 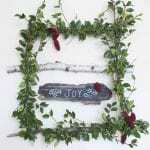 Have you started getting ready for Christmas? Leave us a comment below!